The net-casting spider or ogre-faced spider is a creature with one of the best low-light vision in the world due to a pair of hind eyes that have an aperture of F.58 and a very delicate light-sensitive retina. Their eyes have no irises and therefore the sunlight destroys their sensitive retina every single morning only for it to be regrown in the evening. One of the largest moths in the world, the Atlas Moth, has no mouth in its adult form. Once it emerges from its cocoon it only has a few days to live before starving to death. Their only purpose in adulthood is to reproduce before dying within a week. The female sea louse is essentially captured and dragged into a cave by the male sea louse who then proceeds to impregnate her by piercing her. Then the resulting babies eat her from the inside out and almost consume her. The Howler Monkey is the loudest animal on land (second loudest next to whale on earth). You can hear a howler monkey from 3 miles away. This really loud cry worked at first until you get hunters that want to hunt them and have to put very little effort in since they are literally screaming from the treetops. 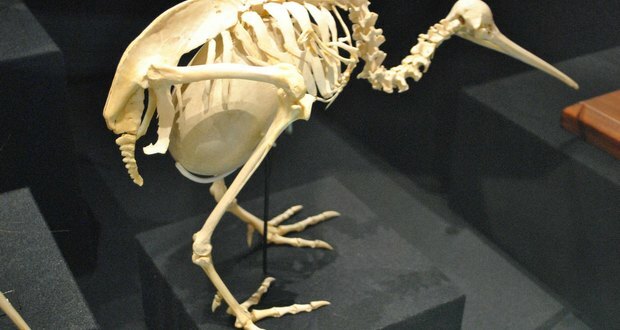 The Kiwi bird lays an egg that can weigh up to a quarter of its body mass and hatches into a more or less completely developed adult kiwi. Kiwis lay the biggest egg in proportion to its size of any bird in the world even though the kiwi is about the size of a domestic chicken and it lays eggs that are about six times the size of a chicken's egg. The egg displaces most of the mother’s internal organs, stretches her ribcage and makes her barely able to move, eat, or even breathe. Goats can be affected by a genetic condition called myotonia congenita which causes them to tense up and faint when startled. These goats are bred for food since less effort is required to keep it enclosed, they have greater muscle mass, less fat and a higher meat-to-bone ratio compared to other goats. 50% of sloth deaths occur during their once a week trip to the ground to dig a hole and defecate. They are near blind and can only see about 3 inches in front of them. They can’t self-regulate body temperatures very well. Therefore the temperature and humidity have to be perfect for them to survive. They use fermentation to digest food, so if they are fed too many fruits they may die from alcohol poisoning. They're so lazy that despite the female being in heat, the male sometimes just falls asleep/lacks interest, leading to a huge lack of reproduction. You have to whisper while you're with them otherwise they may get too stressed and have a non-symptomatic heart attack and die. Kakapo is a large nocturnal ground-dwelling parrot. If attacked, the bird will remain motionless or will jump on some high branch and throw itself, which is weird, since they can't fly. Only around 100 of them are left in the wild and still, it rigorously adheres to a spectacularly convoluted and almost entirely ineffective mating ritual. It wobbles through the valleys of New Zealand dangerously unafraid of its predators. Males have a mating call that can be heard four miles away, but females can't tell where it's coming from. Evolution made cicadas fatter, delicious and numerous. Predators eat cicadas till they're stuffed, and whatever left is enough to lay eggs for the next generation. The next generation emerges after 13 or 17 years because these prime integers rarely sync with other integers making it rare that they will breed in sync with predators, so predators won’t be able to adapt and prepare themselves for the next buffet. Therefore cicadas' entire survival strategy is to get eaten. A wild pig species named babirusa can grow long tusks and if they don’t grind their tusks, it will curve back, penetrate its skull and into its brain, killing it slowly and painfully.